Helios is a 3D/360° video capture plugin for Unity that allows you to capture stunning recordings from the Unity editor in popular 3D formats such as Equirectangular and Stereographic projection. It will create videos you can directly up load to popular sites like YouTube and Facebook in native 360 format. Although Helios is an Offline Rendering system which has a focus on High resolution and high frame rate, it does come with a session recording system that you can record camera movement data in normal speed which is played back at render time. The audio can also be recorded during live play and merged with the offline rendered video. It can also record and render a traditional “2D” camera, and (coming soon) create high-quality animated GIFs. Between January 2016 and June 2018, ImmersiaTV will create a novel form of broadcast omnidirectional video, content production and delivery that offers end-users a coherent audiovisual experience across head mounted displays, second screens and the traditional TV set, instead of having their attention divided across them. This novel kind of content will seamlessly integrate with and further augment traditional TV and second display consumer habits. ImmersiaTV will assemble an end-to-end toolset covering the entire audiovisual value chain: immersive production tools, support for omnidirectional cameras, including ultra-high definition and high dynamic range images, and adaptive content coding and delivery, and demonstrate it through 3 pilot demonstrations addressing both on-demand and live content delivery. The majority of European TV consumers now watch TV programs in a multi-display environment. Second screens -mostly smartphones, tablets or laptops- are generally used to check information not directly related to the events in the TV content being watched. As a result, the attention of the audience is generally divided between these different streams of information. Broadcasters have tried to orchestrate all these different rendering platforms to complement each other consistently. However, their success is limited, and this limited success is due, at least in part, to the very different formats in which information is delivered (web-based texts, mobile apps, traditional broadcast television, etc.). In this context, the arrival of immersive head-mounted displays to the consumer market introduces new possibilities, but also poses new challenges. Immersive displays impose radically different audience requirements compared to traditional broadcast TV and social media. In addition, immersive displays challenge the conventions of traditional audiovisual language. For example, cuts between shots, which constitute the very basic fabric of traditional cinematic language, do not work well in immersive displays. From a user perspective, omnidirectional TV offers a new user experience and a different way of engaging with the audiovisual content. In parallel, the evolution of digital broadband streaming and capture devices has transformed the production and delivery of omnidirectional video from an experimental proof of concept to an industrial possibility. In addition, recent advances in computer graphics have blurred the line between 3D synthetic content -animation movies and videogames- and omnidirectional video streams. This project will create new forms of digital storytelling and broadcast production that, by putting omnidirectional video at the center of the creation, production and distribution of broadcast content, delivers an all-encompassing experience that integrates the specificities of immersive displays, and the feeling of “being there”, within the contemporary living room. We propose a new form of broadcast omnidirectional video that offers end-users a coherent audiovisual experience across head mounted displays, second screens and the traditional TV set, instead of having their attention divided across them. This new experience will seamlessly integrate with and further augment traditional TV and second screen consumer habits. In other terms: the audience will still be able to watch TV sitting on their couch, or tweet comments about it. However, by putting omnidirectional content at the center of the creation, production and distribution processes, the audience will also be able to use immersive displays to feel like being inside the audiovisual stream. ImmersiaTV is an innovation project funded by the H2020 program. 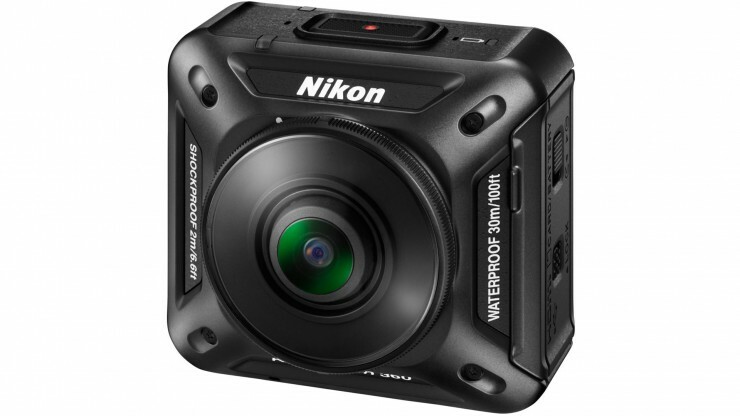 Nikon has announced a 360 “action cam”, waterproof and shockproof, it is targeted to the GoPro wearable market and records 4k with two lenses. No price has been announced. Two low-cost 360° cameras are almost shipping, assuming you purchased them over a year ago during their Kickstarter campaigns. 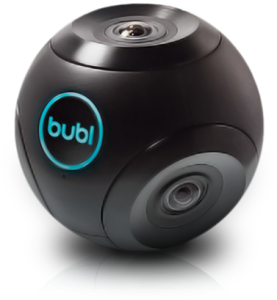 the Bubl and Giroptic cameras are both small enough to be handheld, feature internal image stitching and live streaming, and both are under $1000. 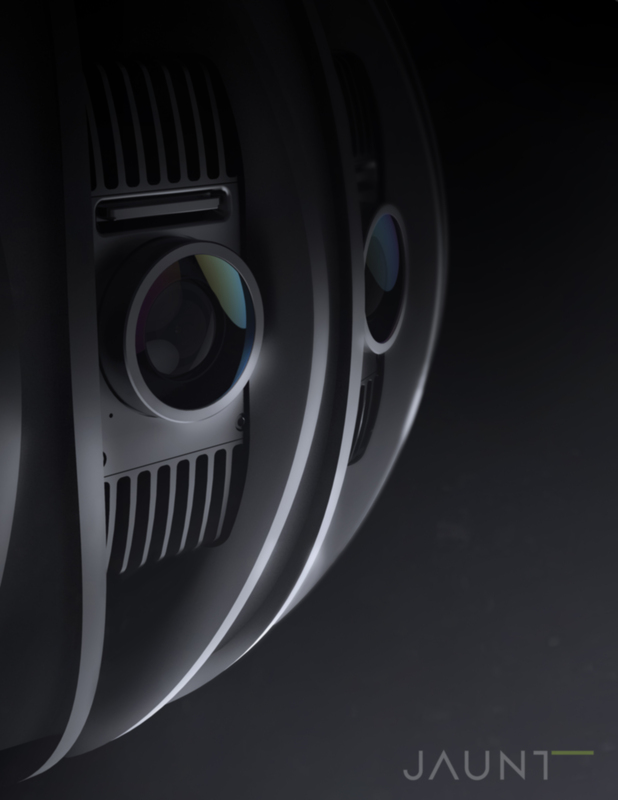 The elegantly minimal Bublcam uses 4 lenses to capture full spherical video to slightly less than 1080p at 30 fps. The website lists the retail price at $799. 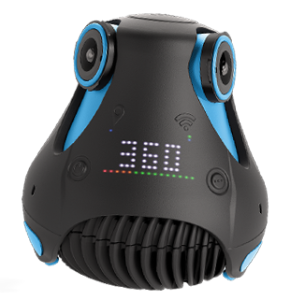 The pear-shaped Giroptic 360cam won’t win any beauty contests (reminds me of Cookie Puss™ the bug-eyed ice cream cake from outer space) but may be friendlier to use, having an ergonomic orientation that invites it being held in the palm of your hand. 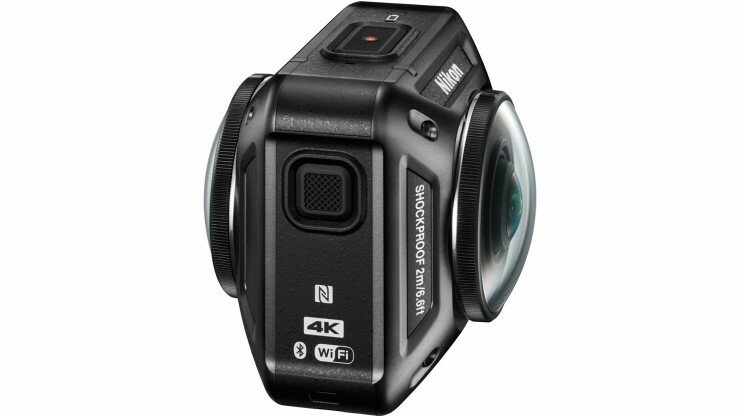 With only 3 lenses it has blind spots (about 300° vertical), but swappable battery/base-mounts provide an ethernet connection or interestingly a light socket connection. The website lists the retail at $499. Both cameras completed their Kickstarter funding in 2014. 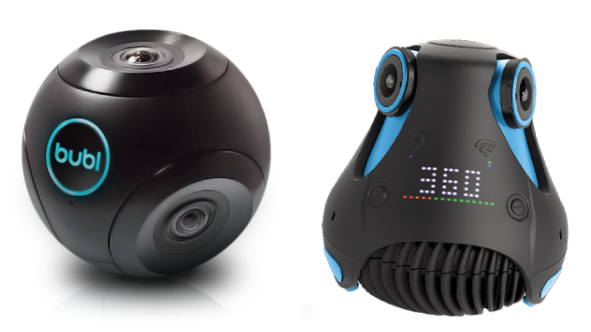 The Bublcam should ship to backers before the end of the year, while the 360cam may ship in the first months of 2016. 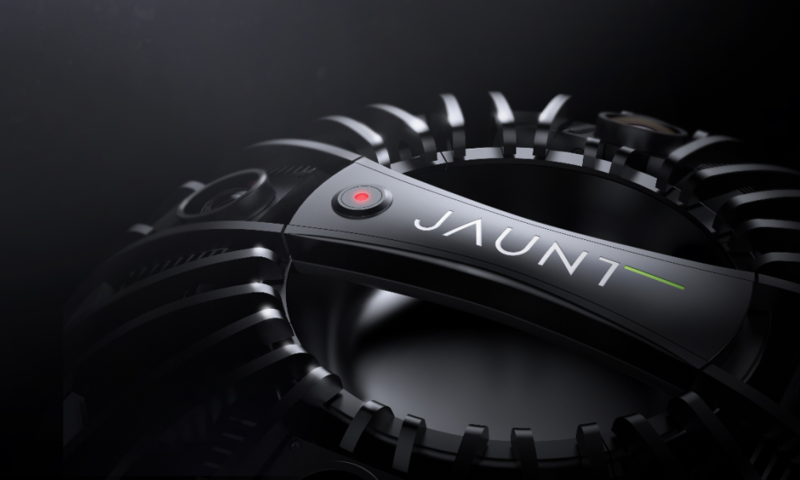 Palo Alto startup Jaunt teases with renders of their 360° cinema camera codenamed “NEO”. The company produces 360° content including a Paul McCartney concert available for ios, a handful of mock “movie trailers” aimed at mainstream audiences, and various corporate and retail tie-ins with Quantas Airlines, North Face, and Elle Magazine. They even boast hipster actor Jared Leto on their Board of Advisers. 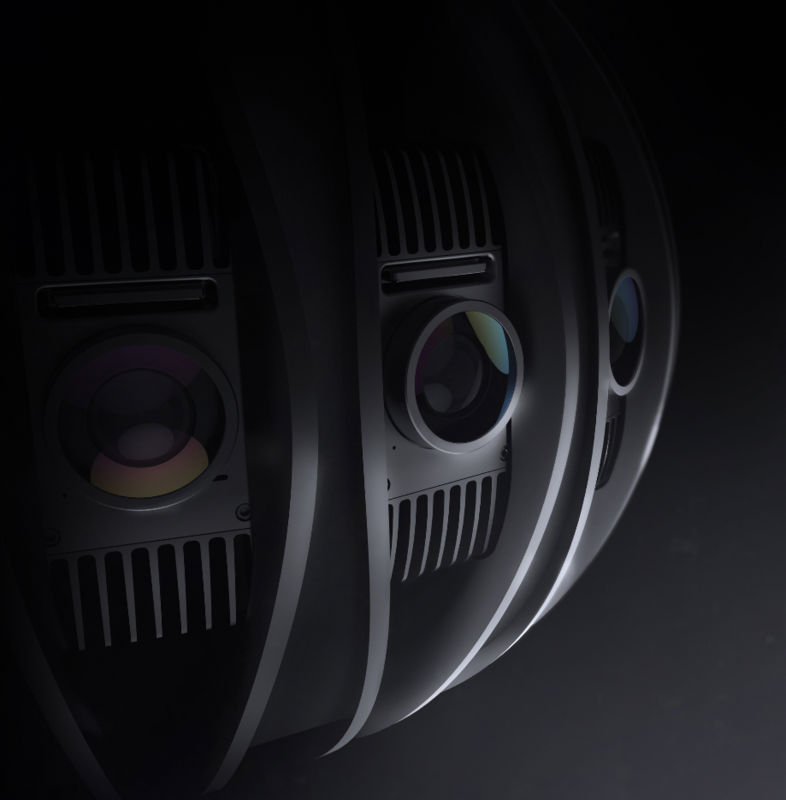 While prototypes of their capture system can be seen on their website, these spooky teaser renders of their “5th generation” camera will have to suffice. The company promises stereoscopic, light field, and hdr capture. 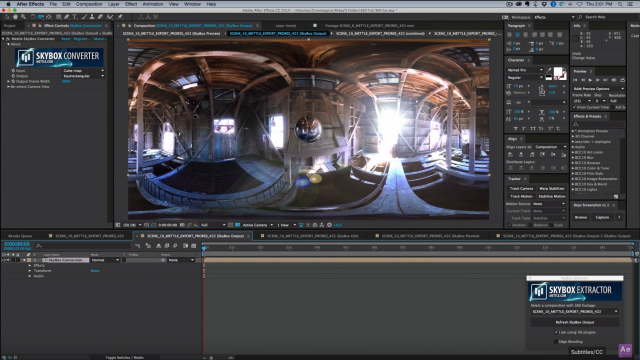 Mettle offers a 360° toolkit to Adobe AfterEffects.